Check out the homes for sale in Greenbrier Arkansas below. 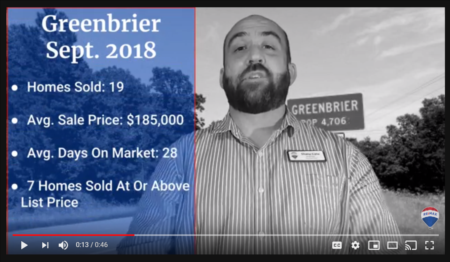 If you would like more information on any of these Greenbrier real estate listings, just click the "Request More Information" button when viewing the details of that property. We can provide you with property disclosures, past sales history, dates and prices of homes recently sold nearby, and more. Are you looking to buy a great piece of real estate at a great price? Check out these homes in Greenbrier with price reductions! Don't forget to click on that button to save your favorite properties! The high school is ranked # 1,652 in the nation and # 13 in the state of Arkansas and earned a Silver Award for best high schools from U.S. News. I will do my best to update the table below on a monthly basis. 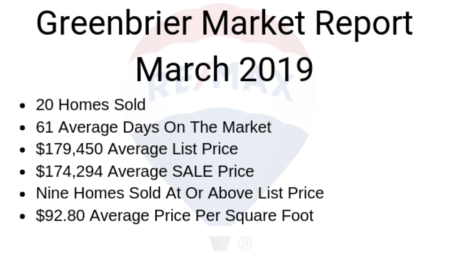 Check out these list of homes in Greenbrier that SOLD in the last 30 days to stay up to date on what properties are selling for and when you get ready to buy, you will be ahead of the game! If you would like a more detailed view of these statistics or more information about homes for sale in Greenbrier AR, contact me anytime! 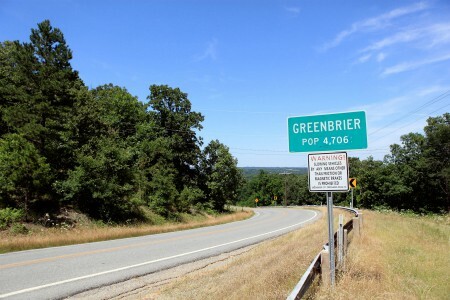 The town was recently named the safest city in Arkansas and The Greenbrier School District continuously ranks at the top in Arkansas. Buyers looking to purchase a home in Greenbrier and other parts of Faulkner County may be eligible to obtain a USDA "No down payment" home loan! 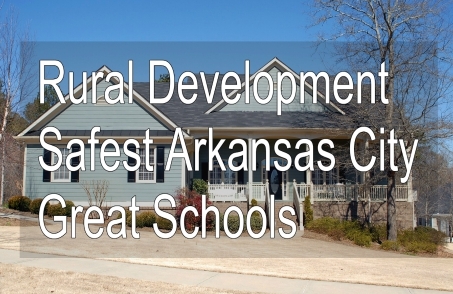 Always ask your mortgage lender for details to see if you meet the requirements of a Rural Development loan in Arkansas. After you do that be sure and contact me and let's go house hunting! This town is growing at a rapid pace and there are many great subdivisions in Greenbrier AR popping up all around the community! Consider this website your "go to" site for real estate information in Greenbrier and Central Arkansas! Listings are updated every 15 minutes from the Cooperative Arkansas Multiple Listing Service. I will try to update the real estate market statistics, news and more on the blog as often as possible. According to census data, the city has grown from 3,042 people in the year 2000 to 4,706 in 2010. Be sure to register for a free account so you can receive instant email alerts when new listings hit the market. I am all about saving time and this website will definitely help you do the same in your new home search! See the links below to find pre-populated search criteria that you may be interested in. You will need to turn on your utilities once you find the perfect home and stay up to date on Greenbrier Community news!